A sparkling jewel of the Mediterranean, the coastal town of Sitges lies in Catalonia in the north-eastern corner of Spain. This picturesque village is known for its well-kept beaches and a sunbathing season that starts in May and extends into October. 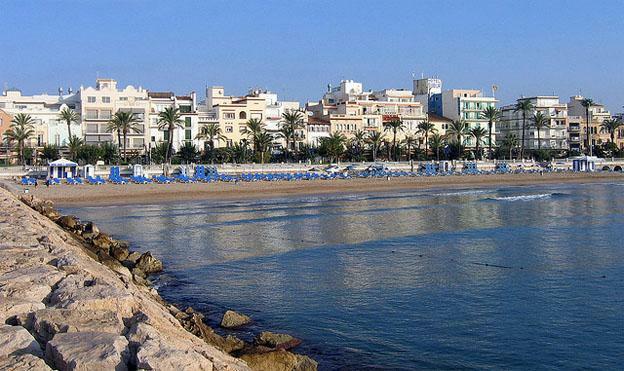 Sitges’ main industry is tourism, with hotels, restaurants and entertainment that appeal to any budget and a variety of interests. Just 35 kilometres south of Barcelona, access to Sitges is easy by air, car, train or bus. Barcelona’s El Prat international airport receives flights from around the world. The region’s thriving tourist industry makes the airport a popular destination for budget airlines from many countries. Main motorways connect the area with Barcelona. Trains leave the city’sthree main railway stations for Sitges almost every half hour. Buses run 24 hours a day, an advantage for those who want to spend an evening in the popular clubs, and car rentals are available in both Barcelona and Sitges. Hotel accommodation ranges from luxurious villas to hostels. Because it is such a popular destination, booking in advance is advised and may also result in travel deals for accommodation, tours and transportation. 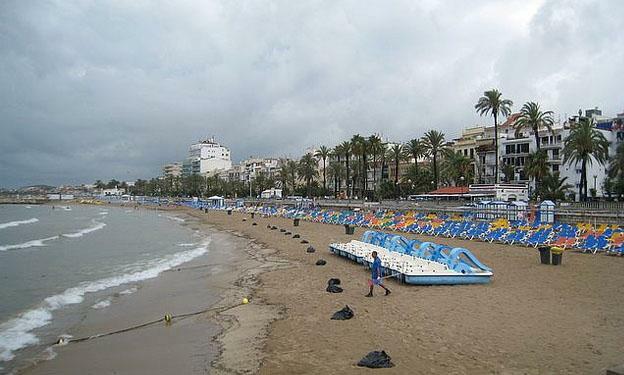 Several of Sitges’ 17 sandy beaches have been designated as blue flageco-beaches. The beaches closest to town are crowded, but walking a bit along the shoreline, you can find sheltered coves and scenic bathing spots for a more secluded experience. Several are favourites for those who enjoy sunbathing ‘au naturel.’ One beach near the main promenade is popular among the gay community while most are well equipped for families and children. The rugged Garraf Massif, a rocky mountain range originating in inland Catalonia, descends to the Mediterranean, creating a dramatic backdrop to Sitges. Garraf Nature Park, northeast of Sitges, features karst limestone rocks and abundant native Mediterranean wildlife and birds. Hiking trails transect the park. Wander the winding streets of Sitges and treat yourself to a visual display of architecture and art. Modernist Santiago Rusiñol established an art tradition in the town that continues today. Three museums including what was Rusiñol’s residence, Cau Ferrat, host an array of art,. Sitges’ many private galleries also display and sell art. 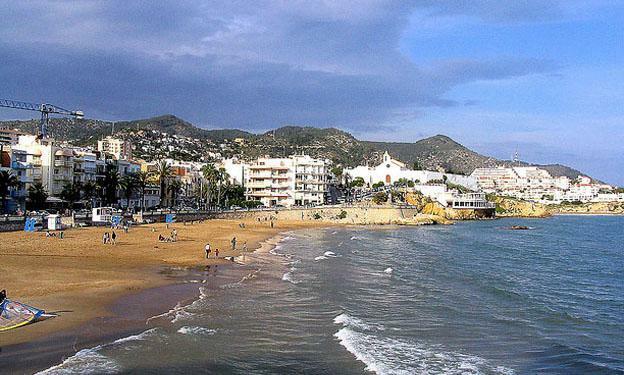 Sitges is well known for its nightlife, with bars, clubs and discos concentrated along the main street, Carrer del Pecat, and it many side streets. The internationally known Pacha Club originated here. Carrer Santa Bonaventura, another popular night spot, is home to many gay bars. Two major events are held annually in Sitges. The international fantasy film festival is host to world-renowned stars, directors and producers. Dates are announced each year. The Carnival, which coincides with Mardi Gras, is a week-long costumed street party with floats and parades. Sebastian Chirino, is a travel blogger from a cheap flights comparison website.